Dr Kinirons is consultant Physician in the Dept. of Ageing & Health, Guys and St Thomas’ Hospitals (GSTT). He is accredited Specialist in General Medicine, Geriatric Medicine & Clinical Pharmacology. 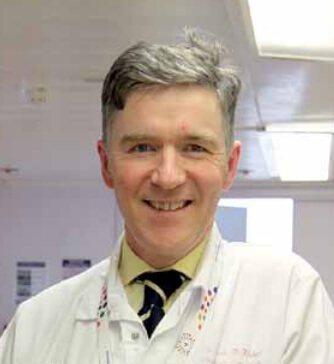 He has received postgraduate training in General and Geriatric Medicine at King’s College Hospital, Middlesex Hospital and Whittington Hospital in London. Dr Kinirons was a research fellow at the Division of Clinical Pharmacology, Vanderbilt University Medical School. His MD was in drug metabolism.